When it comes to long-term grain storage, it’s no secret that maintaining the ideal temperature throughout the year is of paramount importance. With global warming causing more unpredictable weather patterns, being prepared is very necessary to maintain a high quality of grain. This article will discuss a few of the issues. 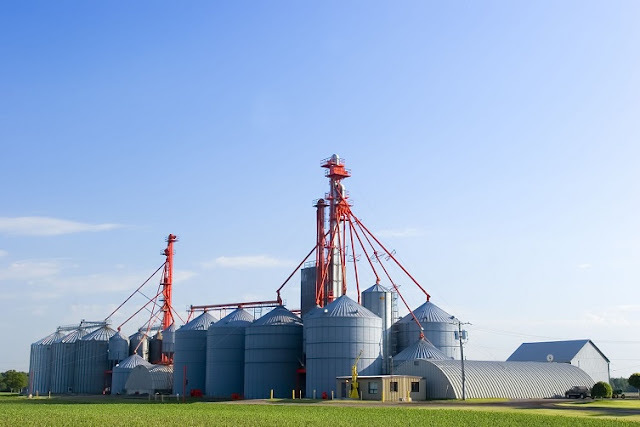 Most types of grain need to be kept in cool, dry environments, which is why silos and grain storage rings are so widely used. Studies suggest that dry grain should be cooled to between -5 to 0 degrees prior to harvest in the winter time. 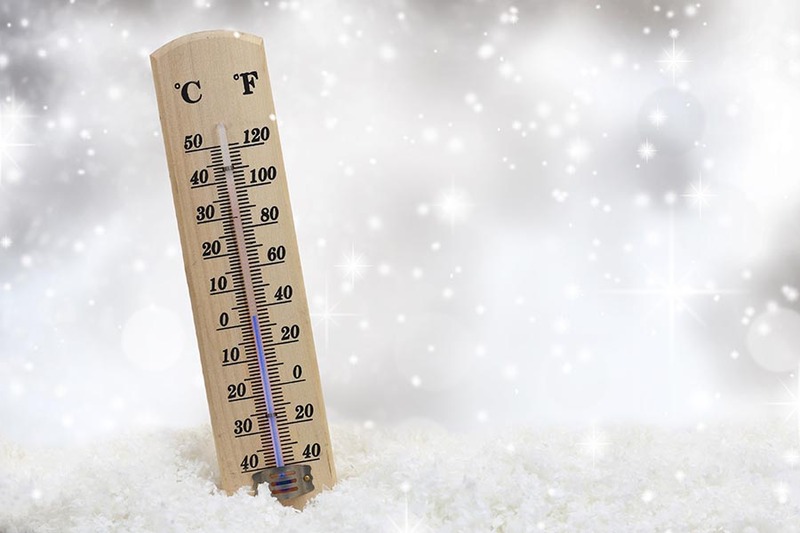 As the climate becomes colder, grain needs to be stored in an even cooler environment, so while it’s arguably more favorable to store grain under colder weather conditions, precautions still do need to be taken. Hotter conditions present problems of their own. For one, grains need to be kept moisture-free, so poor management of grain in humid weather can lead to mold growth, which obviously reduces quality. This is a problem particularly with grain that has just been harvested. Modern processes of grain drying, including aeration (using airflow to dry and cool grain), are the obvious solution in these cases. In the winter time, keeping grain at lower temperatures can reduce the likelihood of insects getting involved, as they are usually at a different state than normal at sub 10 degree Celsius. However, there are problems with grain drying under these circumstances for certain grains, given that condensation can form as a result. Furthermore, while the air temperature outside can be cold, studies indicate that on sunny days the solar factor can come into effect. When exposed to the sun for long periods, grain on the inner outer walls of the bin can be heated and end considerably warmer than is ideal. As mentioned, the main problems that can affect grain storage are related to moisture levels, temperature and insects/birds that may get inside. Here are a few ways of overcoming these issues. The main means of overcoming these is proper monitoring on your part to ensure that the temperature is at the appropriate level. Inspect the bin and the temperature gauge, start the fans - if the air feels humid, which is possible under these conditions, running the fans may be an option. Most importantly, you should check humidity and temperature at various locations as this can differ from one spot to another. It's recommended to refrain from using fans when weather conditions are poor, mainly because there is a high risk of blowing more moisture into the bin, which is exactly the opposite of what you’re trying to do. Winter is unpredictable at the best of times, and even more so in certain parts of Australia. Once the grain is cooled and is ready for long term storage, you need to ensure that the bin is well sealed and weather-tight. If you fail to do so, heavy rains, hail, or even snow could enter the bin and cause huge problems. This also ensures rodents and other small animals don’t find their way in (they tend to be more likely to do so when food is harder to find during winter). As mentioned, careful monitoring on your part is hugely important and should not be overlooked. For more information, feel free to contact the team at Advantec, who provide a range of grain storage solutions, handling equipment and advice to those in need. Agriculture has gone through many different ages over the years in terms of technological breakthroughs such as improved efficiency and crop management. These improvements have been based on improving farming standards and minimizing losses. But a new age is about to begin, the popular agricultural buzzword of our time, the age of Precision Farming. Precision farming is mostly about using the latest technologies in maximising your potential crop based on land size, harvesting times, crop management, as well as transportation. For a few years now, drone-like farm machinery has been the dream that would allow farmers to prepare their land and make a harvest with vehicles that have been programmed to autonomously work around the clock. In this article we will focus on some of these hi-tech developments. This new level of detail means that the most advanced technology can be used to incorporate satellite information on your land in terms of satellite images of crop which can be used to observe, measure and make decisions on crop management using an array of imaging processes. This sort of farming works best on large scale farms where huge numbers of fields are used to grow crops. 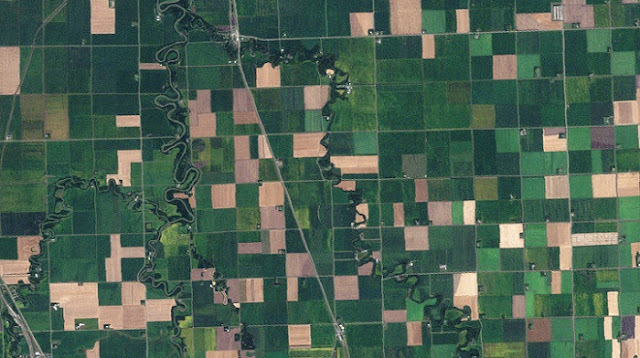 Satellite images can be used to create photographs of a specific field over a specific amount of time to give you information about the best place to sew your crop, as well as the potential yield of a particular crop planted in a particular area. Drones are making a huge mark in farming in recent years for observation and inspection work for farmers, but are now being touted as one of the best tools for precision farming on a mid to large scale. Farming drones are also a much cheaper alternative to using satellite imagery services, as you will be able to purchase outright the complete system. Agricultural UAV Drones at Your Service! These latest agricultural drones have the ability to map your land and give you all the necessary data you require to get the best out of your land. Sensors such as visual aids that give you aerial mapping and 3D imaging allow you to create surveys, view your land use, as well as counting your plants, crops and give you an emergency response system for sustainable agriculture harvesting. 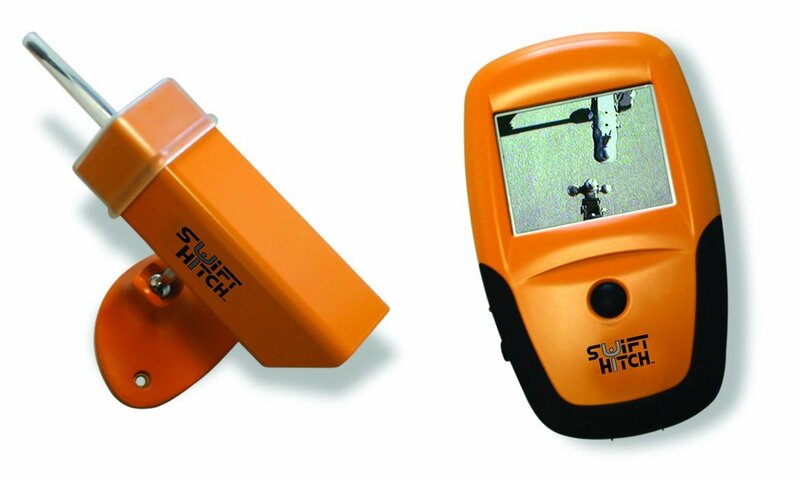 Other visual inspections allow you to use infrared as well as other narrow band frequencies to visualise your plant and crop health, assess water quality as well as create a vegetation index calculation. With thermal and LiDAR sensors you will be able to have an in-depth view and record of your crop to give you information that has never been accessible before to maximise crop management on the largest of scales. Keeping on tabs with your crop is the best way to maximise the precise Australian harvest time for your crop, giving you the best possible chance of minimising crop loss and maximising crop profit. With agricultural drones able to measure plant height, number and health you have the perfect opportunity to create the most efficient farm possible. How Cost-Effective and Future Proof are These? 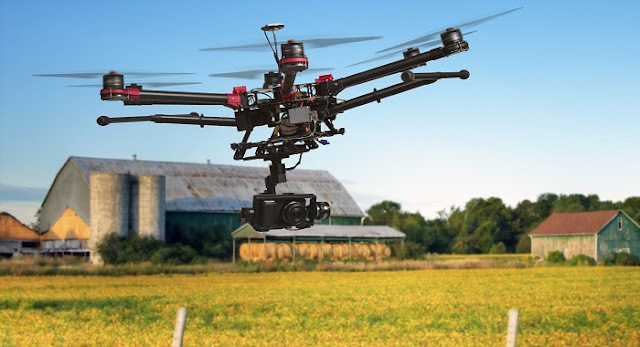 In Queensland a trial had taken place to find the cost effectiveness of drone use in the Australian agriculture industry, trialed through a federal government funded pilot scheme. In combination with LandCare and the Australian Controlled Traffic Farming Association, the trial used a number of tools such as photo imaging to view crop health, as well as the presence of weeds and pests in the fields. As more trials take place, it is believed more farmers will want to try out the automated drone systems and allow them to get more data on their crops and land. The future looks bright for agricultural UAV drones in Australia, with a number of technological breakthroughs which will make the farming industry more efficient and productive. With precision farming leading the way in terms of technology, we will just have to wait and see how long it will be before every farmer employs one of the latest future farming tech drones to grab data from their crops, come harvest time. This link might help to you to better understand the use of precision farming technique in the crop growth cycle. 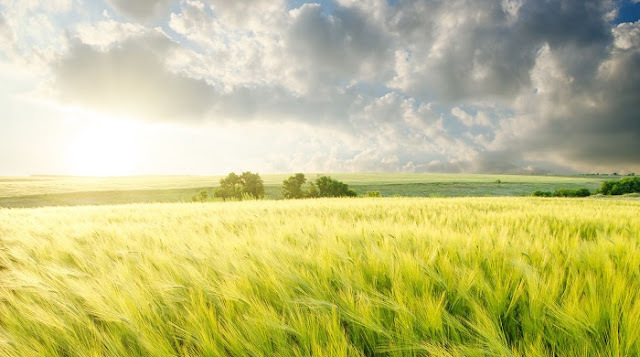 And of course stay with Advantec's blog as we will be discussing more important stuff about grain management and farming industry.